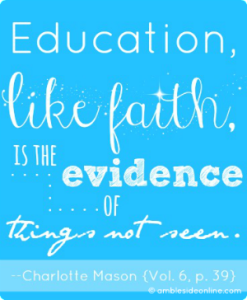 Start Here: A Journey Through Charlotte Mason’s 20 Principles PDF study guide (with linked table of contents) will help you read and study Charlotte Mason’s educational philosophy in a big picture way. 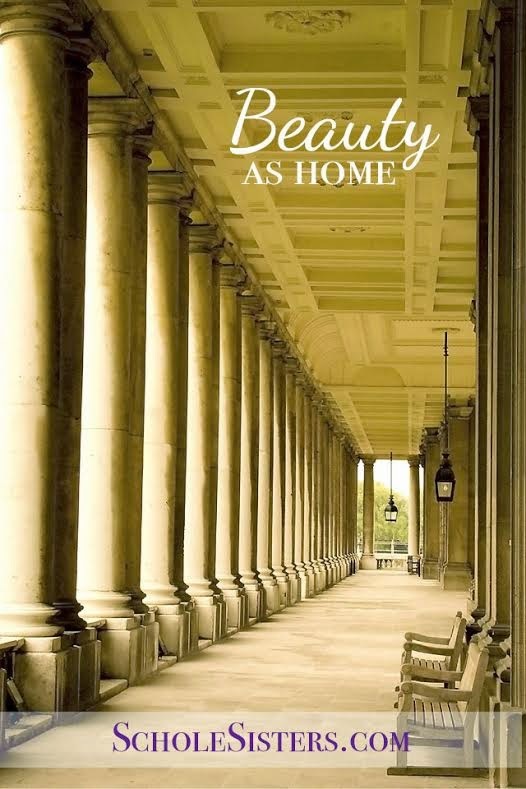 Click here to see a sample of Start Here. 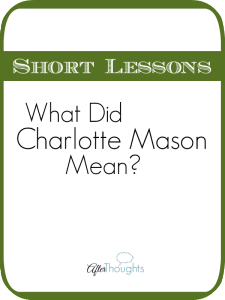 Introducing a new way to study Charlotte Mason. 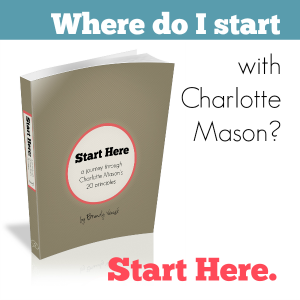 So you’ve decided you want to know more about this philosophy called Charlotte Mason. Good for you! There’s a lot of ways to do that. 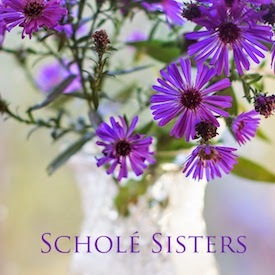 The typical way is to either read a secondary source — where someone else has summarized Charlotte Mason for you — or to choose one of Charlotte Mason’s many volumes and read straight through it. What I’m offering here is a third way. 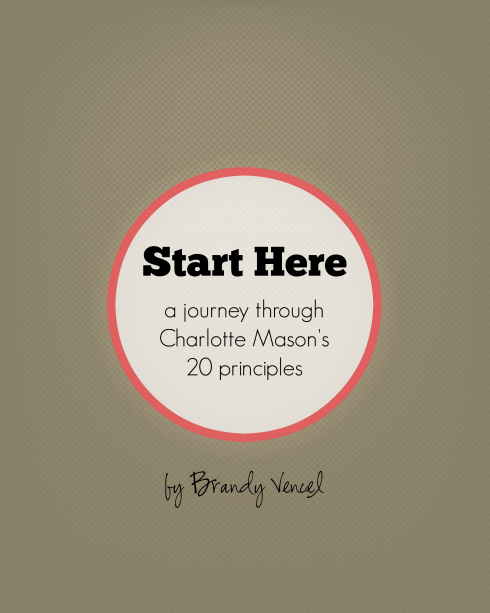 When Charlotte Mason was trying to distill her educational philosophy into its simplest form, she came up with 20 core principles. These are the 20 most important aspects of her philosophy. 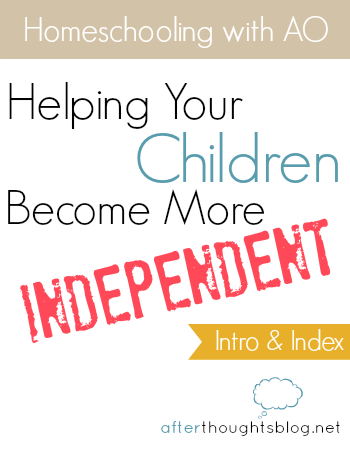 Using Susan Schaeffer Macauley’s wonderful book (For the Children’s Sake), Miss Mason’s volumes, articles from Miss Mason’s magazine (The Parents’ Review), the best blog posts on these subjects, and discussion questions meant to help you dig deeply, Start Here is a comprehensive guide to the big ideas governing Charlotte Mason’s philosophy. 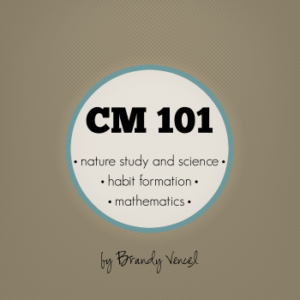 Start Here is appropriate for both group and individual study. 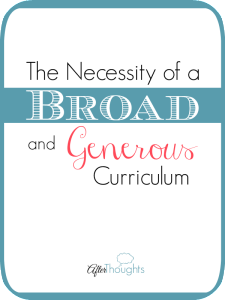 For groups that meet once per month, this is 15 months of curriculum. Individuals may be able to complete it in less time. But keep in mind that speed is not the goal. The goal is understanding and embodiment. Discussion questions are included to help tie philosophy to practice, whether you’re discussing them in a group or journaling your answers. 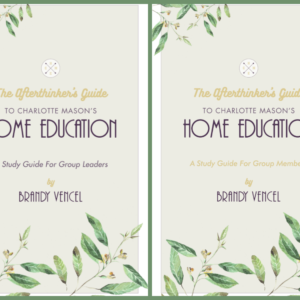 This study is a simple way to familiarize yourself with Charlotte Mason’s philosophy if you are new to it, or refresh yourself with the principles if you’ve already made your way through her volumes. 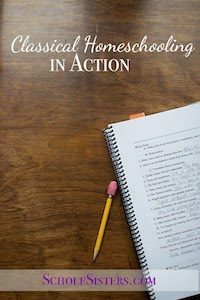 Studying the 20 Principles will remind you of what is true — and what is most important — when it comes to the education of the children you love. 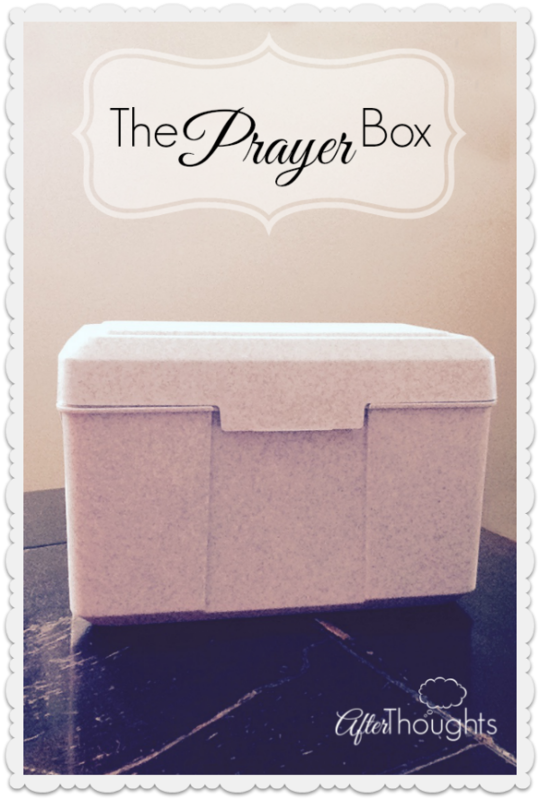 Click here to see a sample of what’s in Start Here.